But I will still come here to post any new episode we have coming out since the CGS guys were our first great home, and I certainly don't want to lose any ties and friendships I have made here. In this soon to be classic episode, the guys have the pleasure of speaking to the artist on G.I. Joe: A Real American Hero, Shannon Gallant. The guy talk about his years growing up in an artistic family, discover his G.I. Joe origins, and discover a special surprise awaiting the guys in issue #180. This is an interview you won't want to miss. So sit back, grab a cold one, and enjoy!! I have been really bad about updating our episodes here. I will do better. Also feel free to comment on any of the episodes here, and I will do my best to respond back whenever I can (I'm usually VERY good about that). In this on location episode, Chuck and Ryan are hosting a garage sale at Ryan's house. While they wait for customers to arrive to buy their stuff they decide to respond to some listener feedback. What is Chuck's problem with the Transformers lately? What new comics for the show have the guys excited? And what makes for a fun garage sale experience? Find out some of these answers in this episode. Enjoy!! 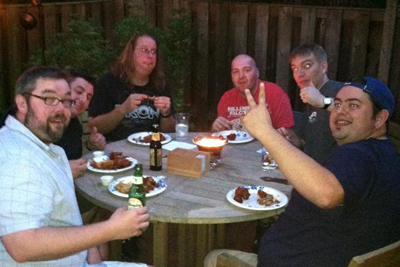 In this momentous episode the guys retire inside after a long day at the garage sale, and get caught up on comic issues. They delve a bit more into some listener feedback. And some new debates start to rise up. All of this PLUS the next Star Joes Contest is announced. This is definitely one to listen to. Closing song, "Paul Revere" in tribute to the passing of Beastie Boys legend Adam Yauch, aka MCA. You will be missed. The guys have Gary and Mike on the show from the podcast "What's On Joe Mind?" They came on to help promote the upcoming Joe-Con, but then due to a miscommunication of time zones with an interview guest, they stayed on to help make sure Chuck and Ryan had a show. The conversations are random and the tangents are extreme. Through it all you'll find out the meaning behind RHP and learn a lot about what is happening in the world of sports. It's a funny ride, so sit back and enjoy the journey. Chuck and Ryan welcome back Star Joes Writer of the year for 2011, Mike Costa. After some technical difficulties on Chuck's end, the guys delve deep into Mike's run on the many books he has been a part of recently. 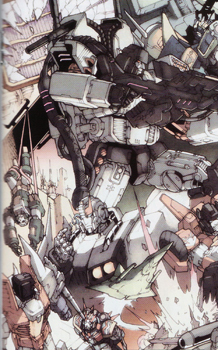 They cover what his plans were for Blackhawks, how he ended his Tranformers run, and what the plans are for the Cobra series. 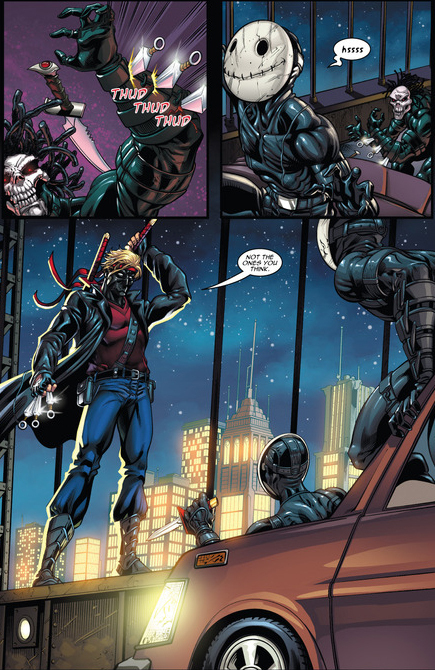 There is a lot of information covered in this interview, including touching on Mike's work on his creator owned comic Smoke and Mirrors and his work on the upcoming Casey Jones one-shot in the TMNT universe. This is an interview not to be missed. Enjoy!! 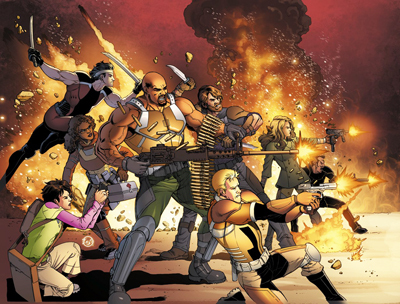 In this episode the guys are joined by GI Joe artist, Robert Atkins, and Kung-Fu Panda writer, Quinn Johnson. 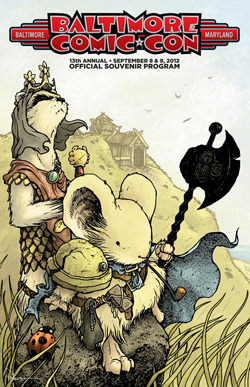 They talk about their upcoming release of their creator owned book Elders of the Runestone. Robert and Ryan geek out over the cartoon Young Justice, and we find out how much both creators can scream like a little school girl. It's a lot of fun with long time friends of the show. Enjoy!! In this mammoth sized episode the guys welcome 4 listeners to the show and turn control of the topics over to them. Find out how much Chuck and Ryan really know about the 80's, what toy properties they owned in their past, and what pillow Ryan had on his bed as a kid. All of this along with a new intro theme song. Enjoy!! 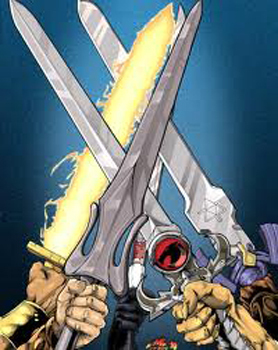 The guys are back to a more regular format as they get caught up on all of the recent comic issues that have come out. 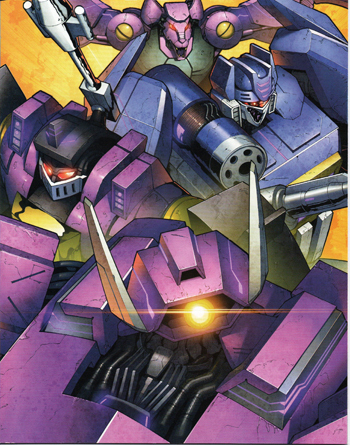 We find out that Chuck may be a girl in disguise and that he might have to broadcast some Beast Wars love soon. All of this plus they announce the winner of their latest contest. So grab a cold one and enjoy!! 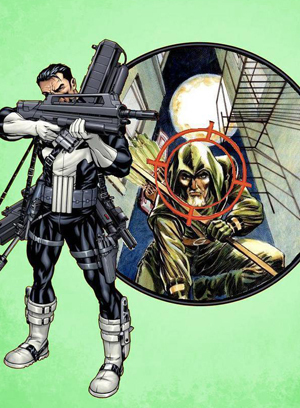 With all the buzz about Marvel relaunching titles, Chuck and Ryan take a look back at three of their biggest successes in titles. That's right, this is an all retro show where the guys cover several issues of the Marvel classic runs on Star Wars, G.I. Joe, and Transformers. In between they also list several top 5 lists and respond to listener feedback. So sit back and enjoy this trip down memory lane! 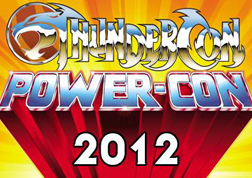 This episode the guys are joined by Danielle from the Roast Gooble Dinner Podcast and Jon from Masters Cast to discuss the upcoming Power-Con/Thundercon. 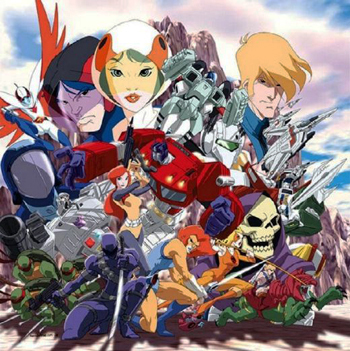 Find out why this is the show to go to for all fans of Masters of the Universe, Thundercats, and Princess of Power. 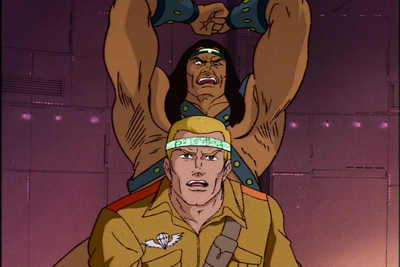 Also find out what figures the group had first in the Masters of the Universe line and get some interesting answers as Chuck and Ryan's guests are put through the Firing Range. It's a fun shorter episode that is sure to be a hit. Enjoy!! 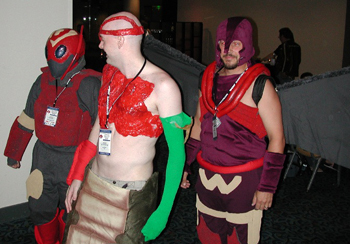 Just before heading out to Baltimore Comic Con, Chuck and Ryan do their best to get caught up on issue reviews and listener feedback. They introduce a new segment called the Atkins Battleground and revisit some established segments like Star Wars Blaster Shots and the Gallant Gap. It's the kind of show you come to expect from these guys, so some expect some good arguments. Enjoy!! 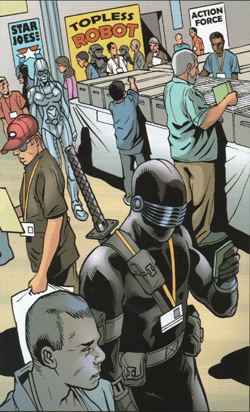 Baltimore Comic Con was an amazing journey for Chuck and Ryan. They had a blast meeting new people, meeting some listeners in person for the first time, and catching up with old friends. In this episode you'll hear some of the conversations that were had that weekend. You'll learn the secret club that Chuck has attended in his past, and you'll join in some of the fun that is now known as Campbell Con. Not everything can be heard clearly with everyone talking in the rooms, but some of the moments make it all worth listening to. Enjoy!! Star Joes presents Episode 79 - When Do I Eat the Magic Corn Cob Shoe? 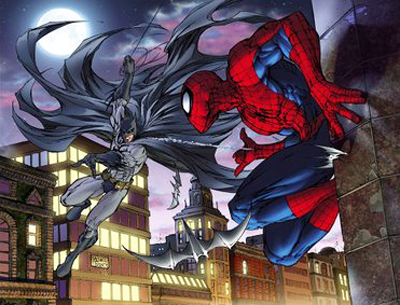 The guys are back to doing what they do best...arguing...I mean, covering comics. Chuck and Ryan give a recap of their trip to Baltimore, including a detailed explanation of the schvitz that Chuck seems to frequent when he can. Then the guys jump into listener feedback and comic issues. It's what you all expect from these guys and more. Enjoy!! It's that time of year again, when the Joes ask you to dig deep for the kids, but rather than just ask for your help, they want to earn it. So Chuck and Ryan decide to tackle the topic of single item/property collecting. Some interesting discussions come up as they guys talk collections. Then for the second half of the show hear exactly what was said at the IDW panel at NYCC. It's an episode worthy of giving to the kids. Enjoy!! 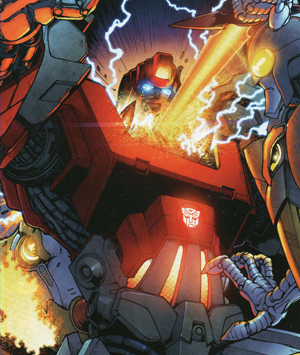 In this special episode, Chuck and Ryan are joined by listener "Crash" in an interview with Transformers: Robots in Disguise creators Andrew Griffith and John Barber. 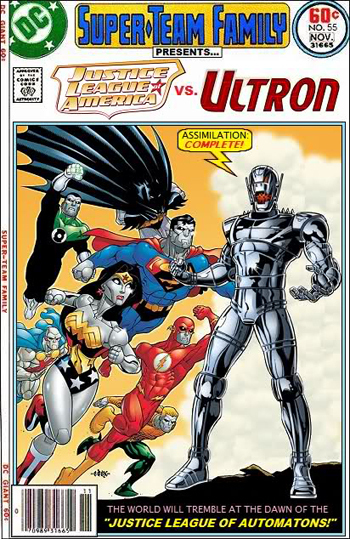 They discuss the creation and new direction of the Transformers line of comics as well as the new direction of the G.I. Joe comics. The guys then close the show interviewing Crash with his recently published work that was successful through the Kickstarter program. It's an interview episode you don't want to miss. Enjoy!! In this episode the guys respond to listener feedback and get caught up on the latest issues from the various properties. Chuck and Ryan also talk about the lastest news of Disney purchasing Lucasfilm and what that might mean for the Star Wars franchise. All of this plus Chuck revisits his glory days. Enjoy!! To start wrapping up the year, the guys release various behind the scenes moment from shows in 2012. Find out just how scared Chuck is every time Ryan does the introduction. Learn from listener Jon Thurmond about a Joe issue that never saw print. And hear the guys talk Batman Dark Knight Rises with listener Chris Campbell. It's an episode that truly pulls back the curtain with some great 80's songs in between. Enjoy!! For this special holiday episode the guys are joined by Slick McFavorite and Mrs. McFavorite from Open Your Toys podcast as they walk down memory lane. The group talks about the toys they always wanted for Christmas but never got, their most favorite Christmas morning, and they all learn a valuable lesson....that Ryan was spoiled rotten. It's a great holiday trip, so enjoy!! Just in time for all to enjoy during the holidays, Chuck an Ryan bring you another movie commentary. 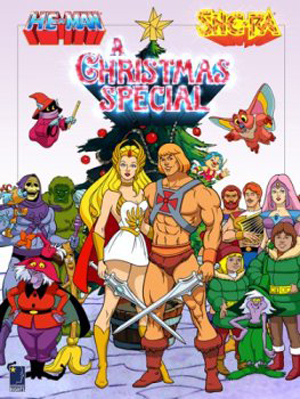 This time they delve into the world of Masters of the Universe with the He-Man and She-Ra Christmas Special. Have fun listening to them as you watch the special this holiday season (because we know you're watching it) Enjoy!! The guys present an epic episode to start off the epic year of 2013. 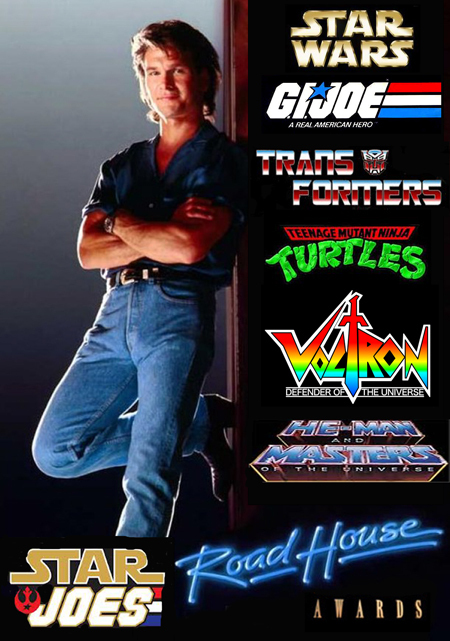 Chuck and Ryan's friends at DC Noise celebrated recently their episode 199 and 200, and the Star Joes guys were along for the ride along with many other guests. Presented here is a condensed version (if you can even believe that with how long it is) of those two episodes. Enjoy! The guys are joined by the new writer on the G.I. Joe comic relaunch, Fred Van Lente. 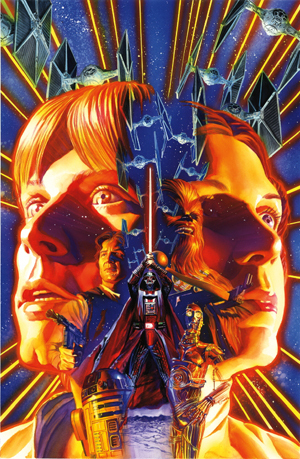 They talk about the new direction for the comic, who the focus will be on, and what fans can expect. They also talk briefly about his other projects and throw in a few Firing Range questions. Enjoy this very informative interview! 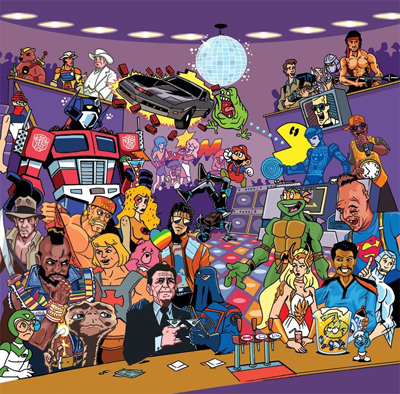 It's that time of year again where Chuck and Ryan get together to wrap up the comics from the year 2012 and announce their nominations for the best (and in some cases, the worst) of 2012. For this special occasion Chuck decided to be in rare form. This is not an episode to be missed. Enjoy!! In this edition of the Ammo Dump, Chuck and Ryan get down and dirty with the new direction of Green Arrow. They wrap up Batman's Death of the Family. And they visit the often bloody adventures of Frank Castle, aka The Punisher in not one but two titles. Issues covered this episode include: Green Arrow #17, Punisher War Zone #4 of 5, Daredevil: End of Days #5 of 8, Batgirl #16, Nightwing #16, Batman #16 & 17, and Spider-Girl #0. 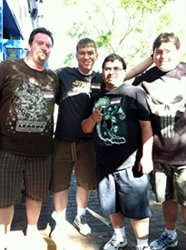 The guys were asked to join Craig from Fwooshcast to talk a little Toy Fair for their 100th episode. Not wanting to turn down a bit of toy talk, Chuck and Ryan were excited to join Craig in this milestone episode. 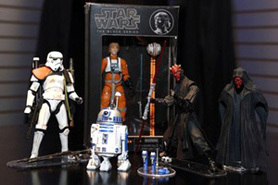 They discuss the upcoming Star Wars Black Series, a bit of G.I. 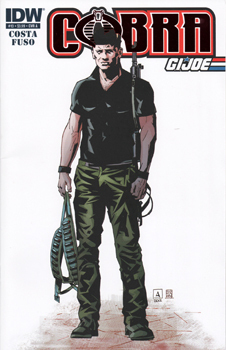 Joe Kre-O, the upcoming G.I. Joe Tomahawk, Transformers Metroplex, and a few Masters of the Universe reveals. 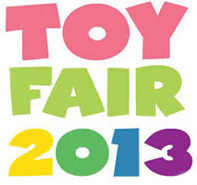 If you like toy talk, then this is not one to miss. In this edition of the Ammo Dump, Chuck and Ryan discuss the comics Hawkeye #8, Age of Ultron #1 & 2, Justice League of America #1, Batman Incorporated #8, and Guardians of the Galaxy #0.1. Chuck also reveals that he has never seen the movie The Last Starfighter. Ryan needless to say is shocked. Enjoy!! 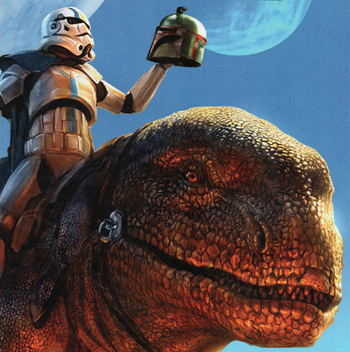 In this episode, Chuck and Ryan catch up on the comics that have come out in 2013. They announce the winners from the Roadhouse Nominations for 2012. They also announce the winner of the contest tied into the voting. All of this plus Chuck brings along a "taste from the islands". Enjoy!! 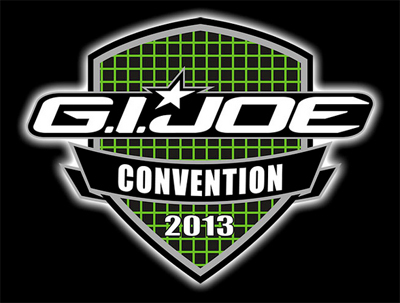 In this special edition of Star Joes, Chuck and Ryan are recording from their room at Joe Con 2013. In this episode they are joined by artist Robert Atkins, Dave Draper from Toy World Order, Dave's girlfriend the lovely Cherry Jubilee, and the Illustrious Ken Diesel from Roma Collectibles. The group talks about the fun they had their first days at Joe Con, how the Con could be even better, and how some customers just don't quite get it. All of this plus some fun facts about ducks. Enjoy!! 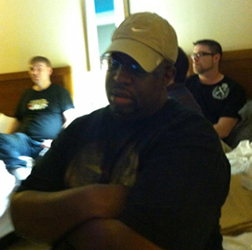 In this episode the guys recorded the voice actors panel at Joe Con. 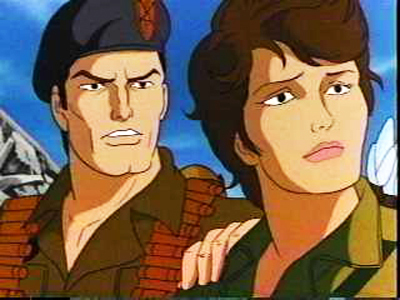 The panel had Bill Ratner, the voice of Flint, and Mary McDonald-Lewis, the voice of Lady Jaye, from the Sunbow G.I. Joe cartoon. They do an impromptu script reading live where you can still hear the characters come to life and they give some insight to some of the behind the scenes that occurred while doing the show. All of this plus a Patton Oswalt rant at the end for your enjoyment! After a bit of a break, the Star Joes are back!! This time with a new ongoing show brought into the fold!! Ryan is joined by Robert Atkins as they start to rewatch the G.I. 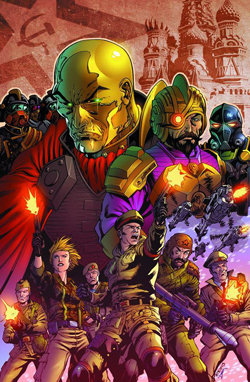 Joe animated series by Sunbow. 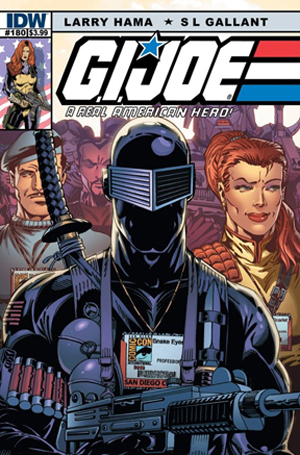 In this first installment they cover the first mini-series "G.I. 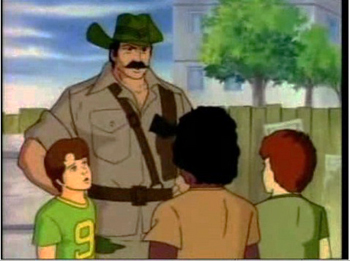 Joe: A Real American Hero" and the second mini-series "The Revenger of Cobra". Join them for this journey through some fun cartoons and find out which Joe the guys say is worth partying with. Enjoy! !